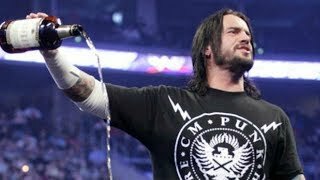 Shock waves have been sent throughout the wrestling world this week as CM Punk, one of the biggest stars in wrestling today, allegedly quit the WWE. Speculation is still hazy but his name has been removed from house show advertising and he has sent out a cryptic tweet thanking his fans for their support. Rumours are running rampant that Punk told management that he was "going home" and that he simply picked up sticks and left. Nothing has yet been confirmed but if the reports are to be believed, CM Punk is done with the WWE and we may never see him wrestle again. Punk has been unanimously over with the fans ever since his infamous "pipe bomb" promo way back in 2011, and whilst he has had a tremendous run since then, namely a record 434-day reign as the WWE Champion, they never really used Punk to his full potential. Taking that into consideration, we have compiled the 10 Biggest Missed Opportunities With CM Punk and WWE, this includes past booking mistakes as well as things we may never get to see. Hit "Next" to continue.